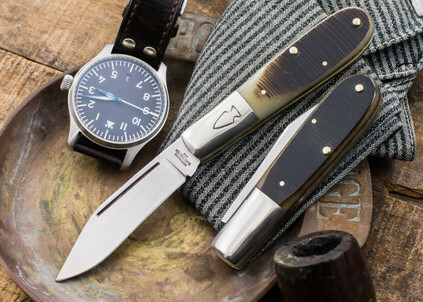 The Northwoods Everyday Barlow is a knife to get excited about -- very excited. 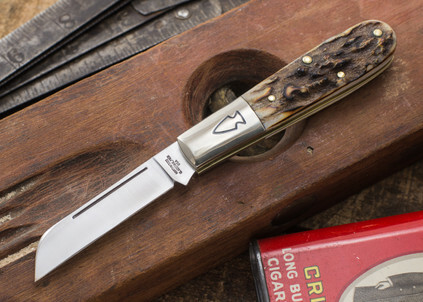 To start with, it has the rich feel you expect from a Northwoods slipjoint, and it's offered in a range of scale materials. 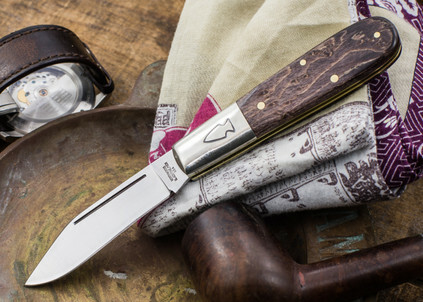 What's especially cool about the Northwoods Everyday Barlow, though, is the blade -- available in sheepsfoot, clip and spear, it's crafted from CPM-154 stainless steel. 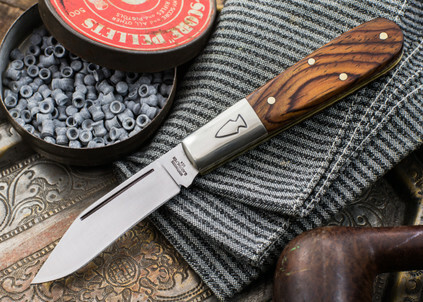 What that "super steel" means to you is that this knife, perhaps more than any other Northwoods, is designed to be carried and used. This isn't meant to be an heirloom (although it certainly could be) -- it's a tool, a worker, the ultimate EDC pocketknife. The CPM-154 steel brings a level of toughness, edge holding and, of course, corrosion resistance that's practically unheard of in a knife of this type. 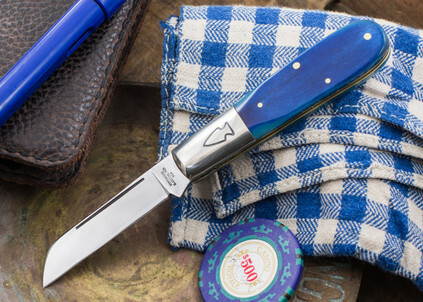 To us, and anyone who carries a traditional slipjoint every day, that's pretty exciting. We're proud to offer it to you, our friends and customers.